1. 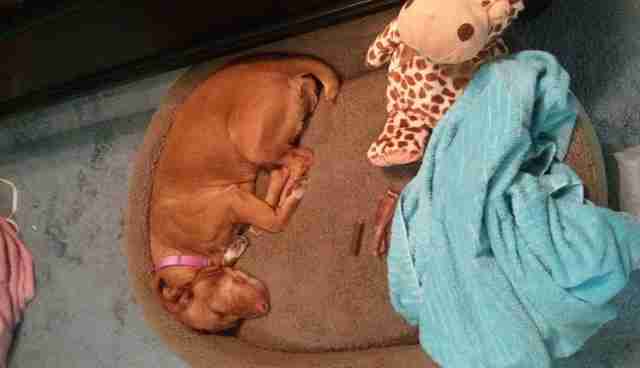 "From a kill-shelter to a queen size bed." 2. 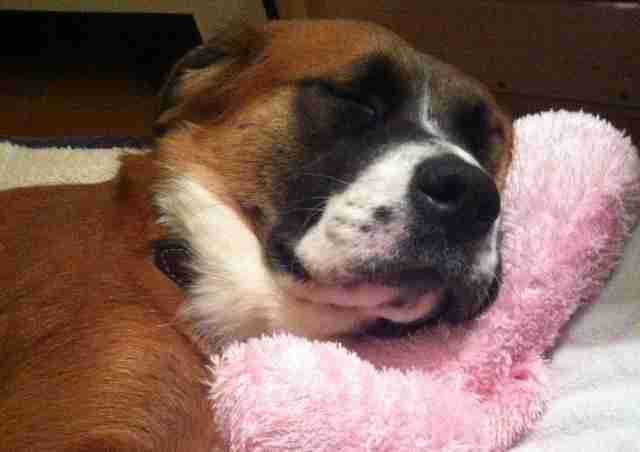 "Freshly adopted, my little River rolls around gleefully in her new bed." 3. "This lil lady woke up today in a shelter. 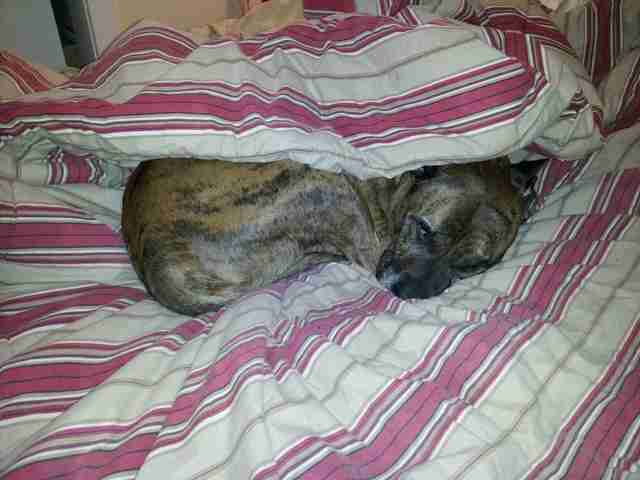 Tonight she's going to bed in her forever home!" 4. 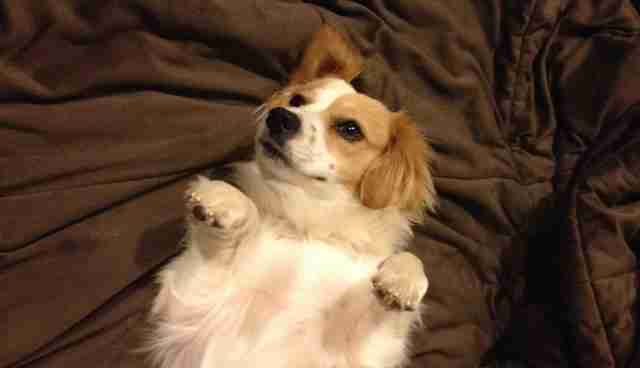 "First time home from the shelter, put him on the bed, and he flops over for a belly rub!" 5. 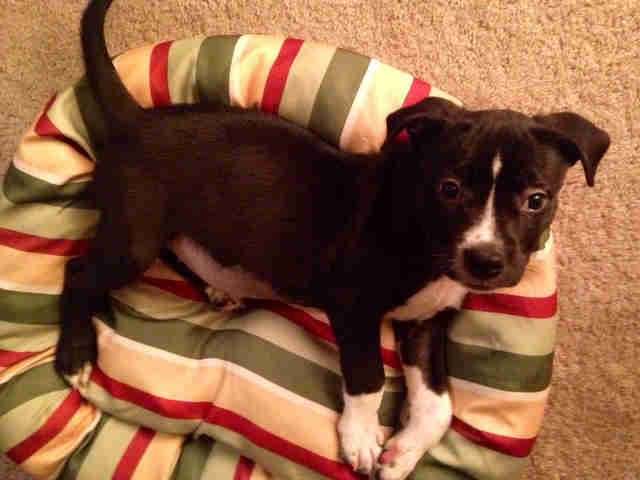 "Brought Penny home from the shelter today. 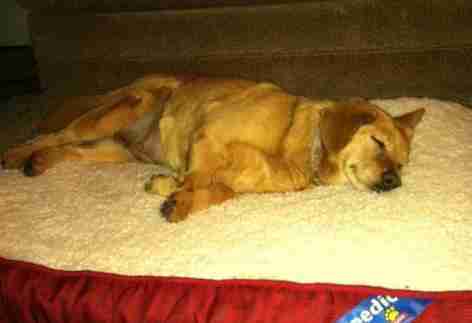 After a long day, she got some well-deserved sleep in her new bed." 6. 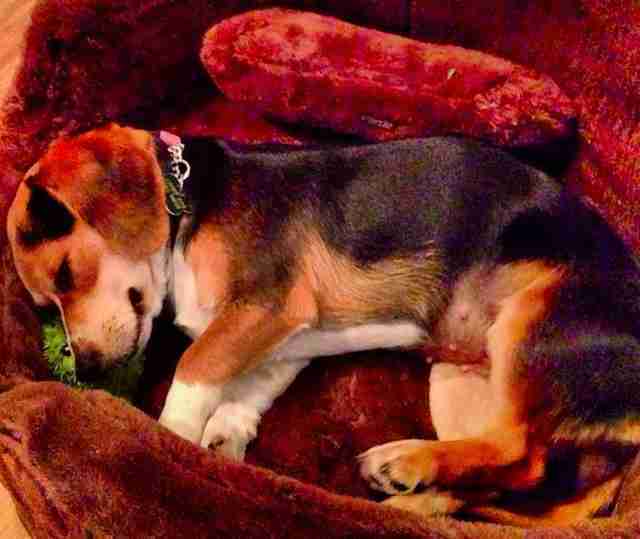 "Saved her from local shelter last night, this is her 10 minutes after finding her new bed." 7. 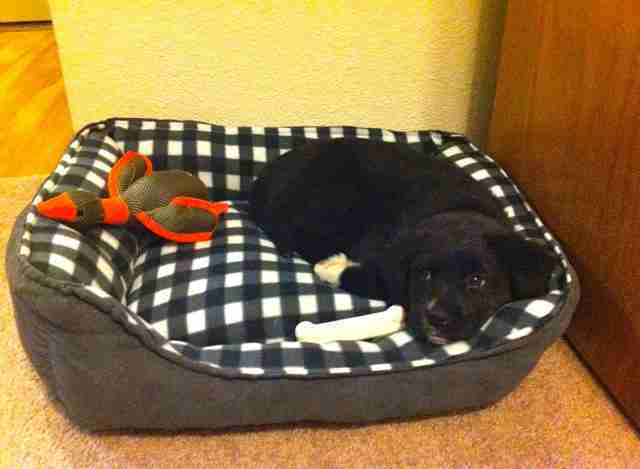 "The first time our adopted puppy, Tipitina, slept in her own bed." 8. 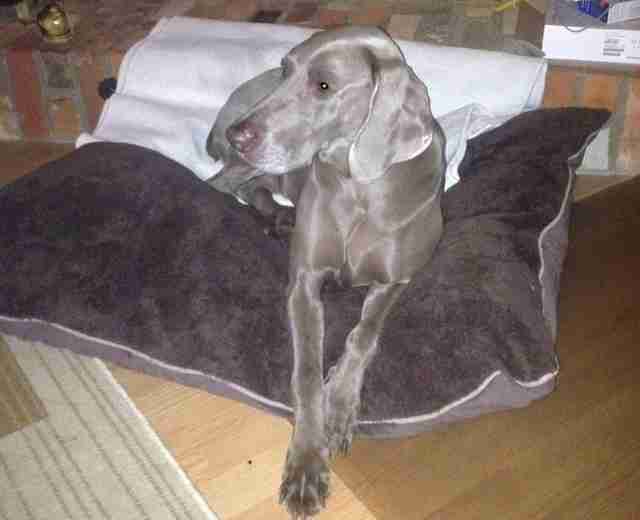 "Here's my newly adopted adopted weimaraner on her first bed, ever." 9. 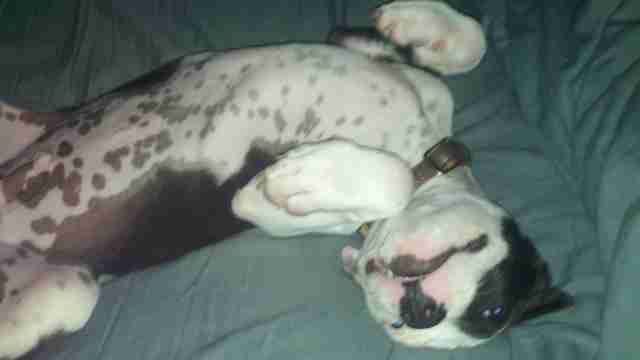 "Rescued a pitty puppy from a high kill shelter ... his first morning in bed <3"
10. "Me and my boyfriend recently adopted a dog who was rescued from Mexico. 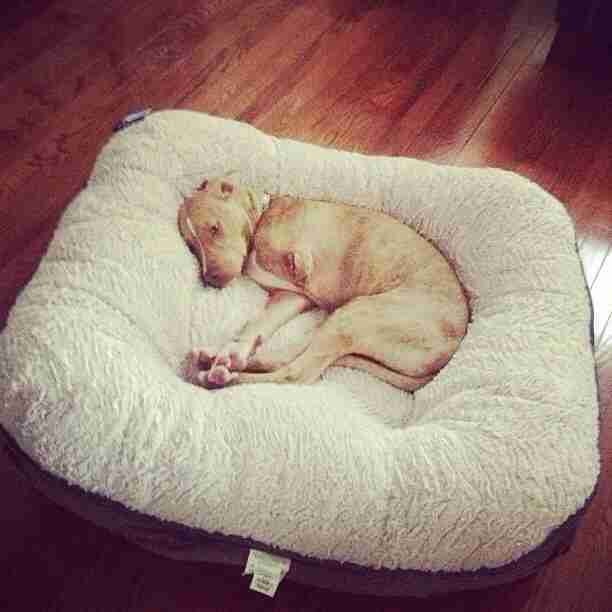 We bought the biggest bed we could find for her." 11. 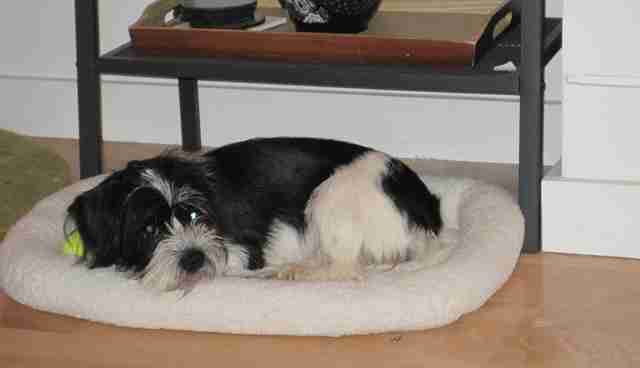 "My 3 legged rescue Dennis Hopper testing out his new dog bed." 12. 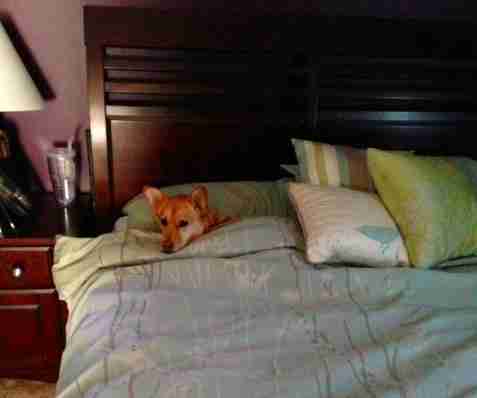 "It's his 9th Birthday and he doesn't think he should have to get out of bed. Not a bad life for a rescue." 13. 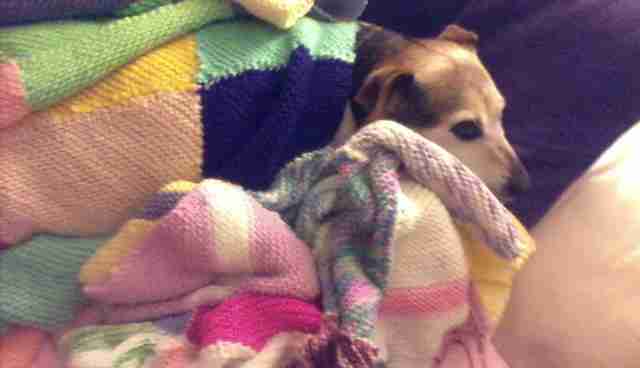 "We're not sure she's ever had a bed or toys of her own." 14. "From a concrete cage to her own bed"
15. 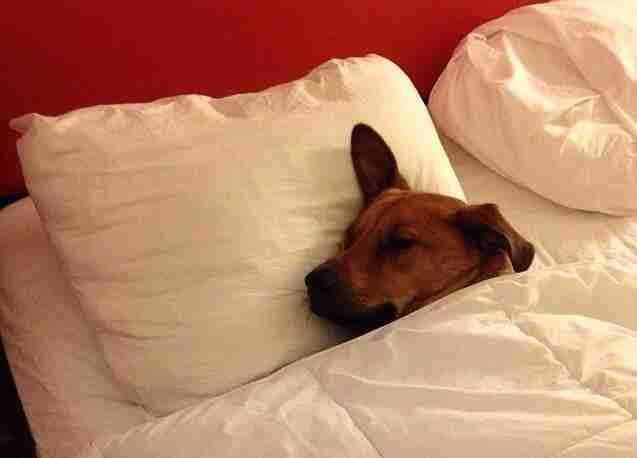 "From shelter floor to hotel bed."